**Please grab the Badge to put in your post, help spread the word and make this hop big!! Note: It's a lot easier for others to leave a comment and follow you back if they have a specific post to comment on. Hmm. Not sure why it put both on each linky.. I entered the blog one, then the networked blog one. Yay for turning off word verification!! It's such a pain! Following all four of you on Networked Blogs now. Believe I'm already following all of you from last weeks hop on GFC. Everyone have a great weekend! You have a lovely vibrant blog here. I'm now going over to Aspergian Tales; I'm sure I'll enjoy that one too as my daughter is autistic. Found you through Friday blog hops. 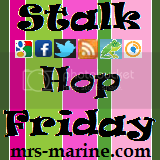 Following you from Stalk Hop Friday! Would love you to stop by and follow me! Hopped on over from blog hop. Following you now. 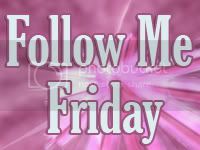 A new follower from Follow Me Friday...See you. LOVED the pics of the sandbar! So beautiful! Hi there. New follower :). Happy Friday. 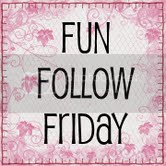 New follower from Hop Along Friday :) Have a wonderful weekend! New follower! Thanks for the opportunity. Your special M+Ms are great- did you do it yourself? 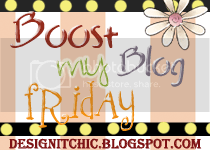 I'm following from the bloghop. We are really interested in all blogs with an education theme and aspergers is something we have a personal interest in. Please drop by when you have a chance! Hello! I'm your newest follower stalking you and your little troops. 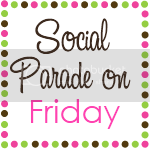 Hope you'll come visit and follow me to so we can officially become blogging friends. Thanks and have a great weekend! New follower! Awesome blog! I would love it if you'd like to drop by blog sometime & say hi! Following you now :) Found you right above me on several blog comment forms. Have a great weekend.